Mophie is one of the most well-known and respected manufacturers of smartphone and tablet accessories, focusing primarily on battery cases, wireless chargers, and power banks. Owned by Zagg, the popular brand is part of a select group that sells iPhone-compatible wireless charging products directly through the Apple Store, alongside Belkin and Logitech. If you’re in the market for the Apple-optimized 7.5W Mophie wireless charge pad and for some reason need two units, Amazon will sell them to you at a total discount of 44 percent. The convenient two-pack is ideal for folks that tend to forget such vital iPhone accessories at home while traveling or commuting to work, as well as those searching for the perfect late Christmas gift. 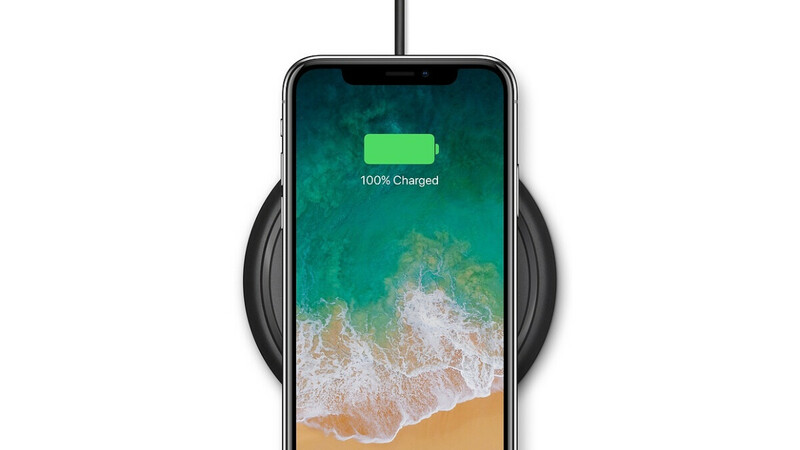 You can offer one of these bad boys to a loved one or leave it at the office, and in addition to the iPhone XS, XS Max, XR, iPhone X, 8, and 8 Plus, Mophie’s wireless charger is obviously designed to work flawlessly with any Qi-certified Android handset as well. Of course, road warriors that don’t enjoy constantly hugging a wall need something else to keep their phones or tablets powered on at all times. Enter the always practical Mophie Powerstation and Powerstation XL, available on Amazon today for 34 and 41 percent off list respectively in snazzy rose gold variants. Universally compatible with Android and iOS devices, these external batteries, aka power banks, deliver 6,000 and 10,000 mAh juice respectively, which is naturally more than enough to charge your daily driver at least a couple of times. Just keep in mind you’re looking at “conventional” USB-connecting solutions here, and not Lightning-equipped accessories. It’s also worth pointing out that each Powerstation comes with two USB ports for simultaneous charging of multiple devices.